This solid Steel Baton expand to 16 inches with just a flick of the wrist. 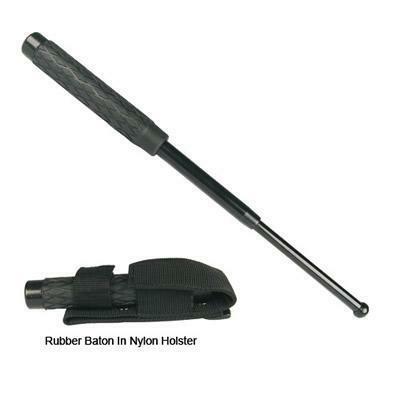 Comes with a rubber or foam handle for easy gripping and a heavy-duty nylon holster for easy carrying. If you are looking for effective self-defense with extra reach, the steel baton is for you.